More debris. Neighbors' concrete block garage collapsed. Educational use only. Copyright Emily Mellecker. 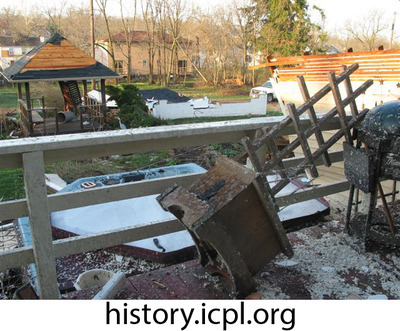 Mellecker, Emily, “Debris deposited on property,” Iowa City Public Library, accessed April 19, 2019, http://history.icpl.org/items/show/2658.